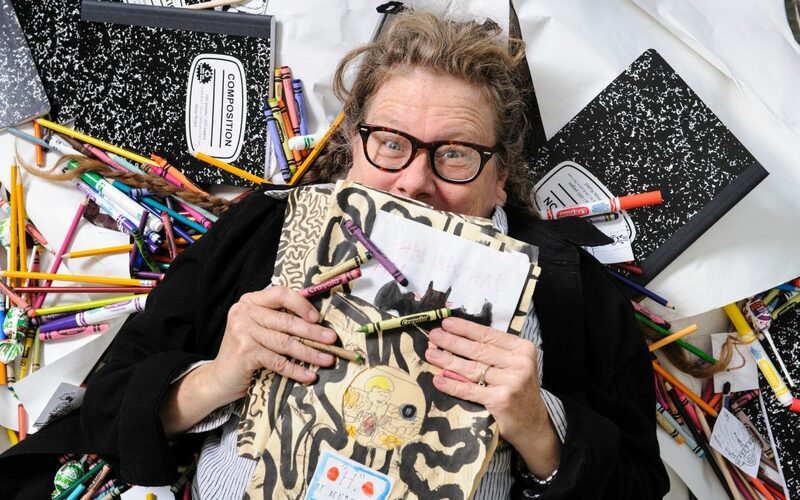 On Feb. 1, Lynda Barry spoke to the Colorado College community for Cornerstone Arts Week. For those unaware of who this woman is, she is a spectacular human, educator, writer, and professor. She publishes a weekly comic strip, has written many books, including graphic novels, and is currently Assistant Professor of Interdisciplinary Creativity at University of Wisconsin-Madison. Much of what she proves in her work is that children and adults are not as different as we often make them out to be. Activities we associate with childhood are ones we should bring to our adult lives in order to succeed—most importantly, drawing. Whether or not you think you are a good drawer, you should continue to draw. Barry explained that as a person veers into adulthood, they neglect the act of drawing in fear of not being good enough. However, if you think back to childhood—remember someone asking you to draw a bear riding a rocketship or a space chipmunk—seven-year-old you would never think twice about being able to do it. As little kids, we draw, and we stand by our creations proudly. However, age seems to take away part of that careless confidence, and, as a result, many people quit drawing completely.